Dandy Dawgs offers a fun assortment of training opportunities! You and your furry pal can explore ways to enhance your relationship through the many Classes and Programs presented to you from this page. I invite you to enjoy training possibilities you may not have considered. Feel free to contact me regarding particular issues, requests and requirements for each class or program. 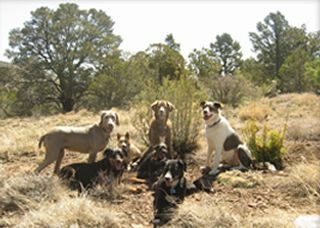 Dandy Dawgs is a positive reinforcement reward based training program. We do not use chain or prong collars. Prong Collars actually cause less trachea damage than choke chains but the dog learns to make a decision based on discomfort rather than learning to make cognitive choices--clearly choosing to defer to you because you are The Best Show in Town! Dandy Dawgs uses a five reward based foundation program: Food--Fun--Freedom--Praise--Petting. We teach our puppies and dogs to work in some way, great or small, for any of those rewards thus building a solid foundation of respect and trust in their person's leadership. This builds confidence in your dog and moves you toward building the bond of a lifetime. Your dog's kibble, soft high reward treats, easy access to treats, collar and leashes are all that is needed for most classes. All dogs need to be current on vaccines. COME JOIN THE DANDY DAWGS EXPERIENCE AS WE GROW TO MEET YOUR NEEDS! Contact Andy for more info, check dates or sign up for a retreat today!